Watch a short video to learn the basics! Cataracts are a natural part of life but did you know there nearly 4 million cataract eye surgeries performed in the United States every year? 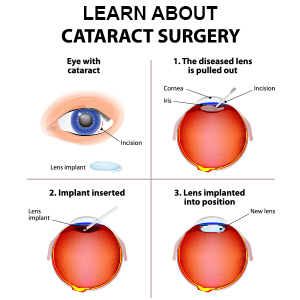 Cataract surgery is one of the most common procedures performed in the U.S. today. The surgery itself isn’t very long and typically takes about 15 minutes to complete. 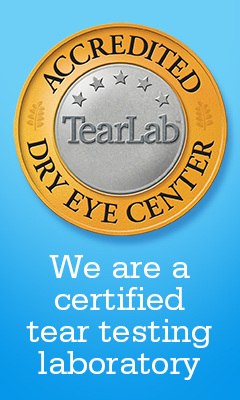 During the cataract surgery, Dr. Anthony O. Roberts removes your old clouded lens and replaces it with a new lens. 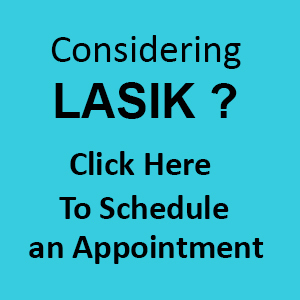 Following the surgery, your vision will be clearer and brighter. Another advantage of having cataract surgery is Dr. Roberts may be able to correct other vision issues such as astigmatism or presbyopia using different replacement lenses. 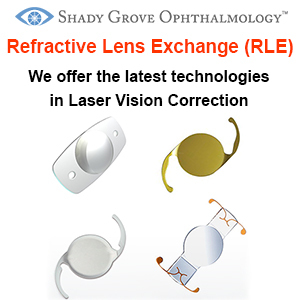 Be sure to ask the doctor prior to your surgery about any and all options for lens replacement. He will provide you with answers to all your questions. Recover is typically 1 to 2 days but each patient is different. 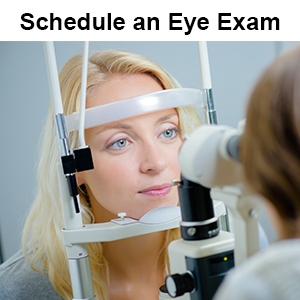 Dr. Roberts will provide you with post-operative instructions and how to care for your eyes while they heal. Areas served: Rockville MD, Potomac MD, Gaithersburg MD, Germantown MD, Alexandria VA, Arlington VA, and the Washington D.C. metro area.